As the new OnePlus teaser on Weibo suggests, we might soon be seeing the new OnePlus 5 flagship smartphone in the coming months. The company's CEO Pete Lau reblogged the teaser accompanied with the brand's #NeverSettle tagline, confirming the news. 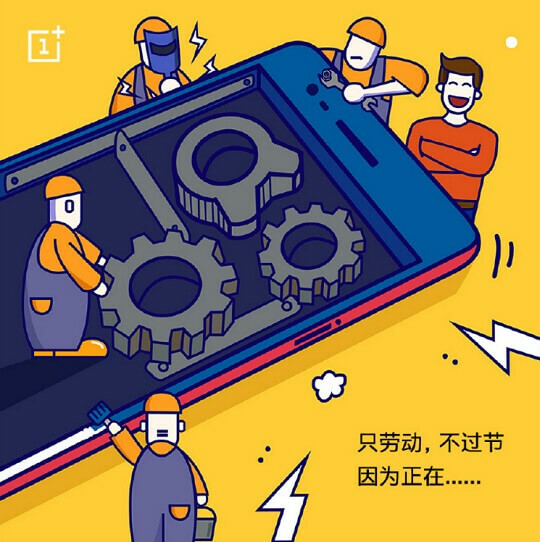 According to the new Weibo post, OnePlus is working on something big without a break. It was promoted with a picture of employees working hard on a smartphone, which Pete Lau later on supported through reblogging the post with the "carry on!" caption and company's tagline. Apparently, the device in the picture is the upcoming OnePlus 5. Reports indicated that the company is skipping the number 4 moniker due to Chinese belief that it is an unlucky number. The upcoming OnePlus 5 is expected to feature high-end specs at a reasonable price point. Previous reports suggest that it will feature the latest Qualcomm Snapdragon 835 chipset with up to 8GB of RAM and 256GB of internal storage. It might also sport a QHD display, 23-megapixel main camera, 16-megapixel front shooter, and a 3000mAh battery. Not much has been officially confirmed yet, but if the teaser is any indication, OnePlus might be already preparing for the upcoming launch of the OnePlus 5 this year.